Preform Making Machine is used to shape liquid plastic into solids. It is generally classified as hydraulic plastic injection machine, and mechanical plastic injection machine. The plastic injection machines used to produce various plastic are with variable sizes, from tiny to extremely large machines, depending upon end products. That plastic injection machines are so popular is partly owing to the simple structure, ease of use, and competitive prices. 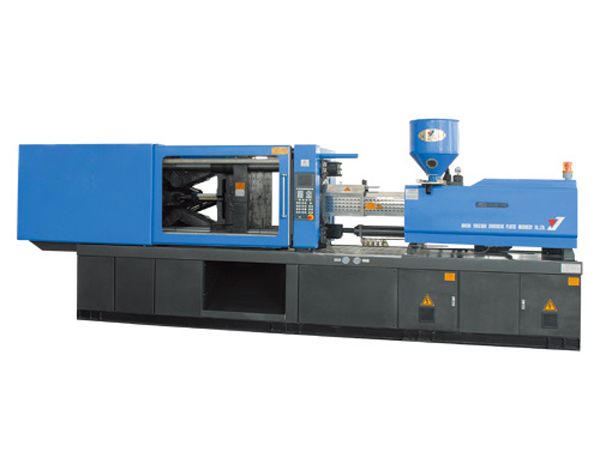 The plastic injection machine has only a small number of major parts, including hopper, barrel, heater, a plunge needle, a casing unit, and an ejection device. Sizes and types of these parts vary according to the materials to be molded. Plastic injection machine specializes in manufacturing PET bottle preform. Besides, the whole production process is in compliance with the ISO9001:2000 international quality system standard. Flow chart of the injection process. 1. The preform making machine is equipped with double mold adjusting motors, which ensures steady and smooth operation of mold adjusting. 2. It is designed with optimum oblique ranked five-points supporting curved rib and cabinet-type mold. 3. The movable mold board makes use of self-regulating support, which protects draw bar and also extend its life time. Meanwhile, it renders smooth and steady mold locking. 4. The double injection-advancing hydro-cylinders guarantee the injection process is steady and smooth and no deformation for fixed mold board. 5. The hydraulic system adopts pressure-flow double-scaling to control oil channels. In addition, the machines make full use of international famous brand hydraulic elements, and are accompanied with reasonable oil lines to ensure smooth and steady running of the machine. 6. Double-cylinder balanced injection, screw rods, material tubes, non-step, large-torque hydraulic motor, adjustable speed control and adjustable back pressure, combine to meet requirements of the various plastic to be injected and shaped.